Beefsteak plant is a branching, herbaceous annual that can be green, deep purple, or various shades in between. Purplish plants look something like garden coleus. Flowers small, white or light purple, in elongated, spikelike clusters to 6 inches long, arising from leaf axils, with each flower on a short stalk subtended by a tiny leaflike bract. The calyx has 5 pointed lobes; the corolla has 5 rounded lobes. Blooms August-October. Leaves opposite, on long stems, large, soft, ovate to oblong, coarsely toothed, the upper surface indented with veins, the lower surface with raised veins. Foliage green or shades of purplish brown, highly aromatic. Stems lightly hairy, 4-angled, often purplish even on green plants. Similar species: The many types of garden coleus tend to have leaves with rounded, not sharp teeth, with usually green or yellow banding or other marks on the leaves. Coleus leaves and stems tend to be thicker, and the flowers are different, too. Coleus rarely escapes cultivation. Beefsteak plant reseeds abundantly and can be somewhat weedy, forming big patches. Unlike perennial garden mints, it does not spread by runners. Found in moist or dry wooded bottomlands, open valley pastures, and along trails, railroads, and roadsides. A native of India and China, this annual herb was introduced as an ornamental and is widely naturalized. Planted in the home garden, it reseeds abundantly and can be somewhat weedy. Unlike other (perennial) garden mints, it does not spread by runners. Red varieties develop the deepest color in bright sunlight. 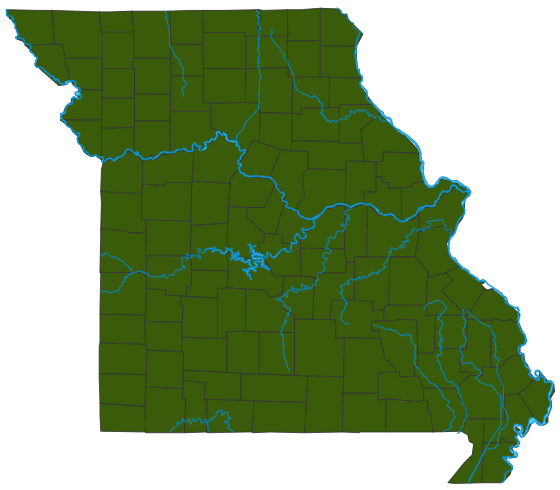 Occurs south of Missouri River, except north of it in a few eastern counties. Cultivated statewide. This species has many common names in different languages. The Japanese call it shiso, for example. In America it is called Chinese basil and perilla mint, but as Japanese cuisine becomes more popular here, more are calling it shiso. Because it originally came to America as an ornamental, it is sometimes called summer coleus. It's called beefsteak plant because the darkest varieties are as red as steak. It's called rattlesnake weed because of the rattling of the dried seed capsules. Cultivated for centuries in Asia. Its seeds contain an edible oil that is also used as a lacquer. The leaves can be eaten as an herb or garnish and are popular with sushi chefs. The red varieties are used as a natural food coloring for Japanese pickled plums. Wild strains may be less tasty. This plant was apparently introduced to the United States in the middle 1800s. Like so many other nonnative introductions that can escape cultivation, each colony growing vigorously in the wild represents a place where our native plants cannot compete.